Active Chief is a structured health education programme that teaches children across the primary phase how to stay safe and keep healthy, while maximising their activity levels. Our TES shop provides a sample of the active pedagogy we use through high-quality cross-curriculum materials, intended to provide pupils with ample opportunities to be active during the school day. As such, our programme and associated materials can be purchased using PE and sport premium funding. This is an active treasure hunt designed to enable pupils in year 6 to revise for the SATs arithmetic paper in a fun and active way. This is a sample featuring 16 arithmetic questions, full versions are available to purchase from our store. This resource can be used with a whole class, small group or individuals. All required resources and answers are included. A little about Active Chief… Our Mission To teach every child how to stay safe and keep healthy, while maximising their activity levels. About Active Chief Active Chief is a health education programme that aims to teach every child how to stay safe and keep healthy, while maximising their activity levels. Our pedagogy can also increase the opportunity for active teaching and learning across the curriculum. Our Active Practice is just one component that can be used in a cross-curricular way to maximise children’s activity levels. Active Practice Purpose: Engage pupils in active play to maximise activity levels and rehearse the knowledge and understanding related to the subject of focus. Enjoyed #ActiveChief? Mention us on Twitter – @ActiveChief Please also contact us @ActiveChief or activechief@outlook.com for further information on all we have to offer, including our structured health education programme. Arithmetic Treasure Hunt Active Practice C This is another active treasure hunt designed to enable pupils in year 6 to revise for the SATs arithmetic paper in a fun and active way. This resource can be used with a whole class, small group or individuals. All required resources and answers are included. A little about Active Chief… Our Mission To teach every child how to stay safe and keep healthy, while maximising their activity levels. About Active Chief Active Chief is a health education programme that aims to teach every child how to stay safe and keep healthy, while maximising their activity levels. Our pedagogy can also increase the opportunity for active teaching and learning across the curriculum. Our Active Practice is just one component that can be used in a cross-curricular way to maximise children’s activity levels. Active Practice Purpose: Engage pupils in active play to maximise activity levels and rehearse the knowledge and understanding related to the subject of focus. Enjoyed #ActiveChief? Mention us on Twitter – @ActiveChief Please also contact us @ActiveChief or activechief@outlook.com for further information on all our materials, including our structured health education programme. This is an active treasure hunt designed to enable pupils in year 6 to revise for the SATs arithmetic paper in a fun and active way. This resource can be used with a whole class, small group or individuals. All required resources and answers are included. A little about Active Chief… Our Mission To teach every child how to stay safe and keep healthy, while maximising their activity levels. About Active Chief Active Chief is a health education programme that aims to teach every child how to stay safe and keep healthy, while maximising their activity levels. Our pedagogy can also increase the opportunity for active teaching and learning across the curriculum. Our Active Practice is just one component that can be used in a cross-curricular way to maximise children’s activity levels. Active Practice Purpose: Engage pupils in active play to maximise activity levels and rehearse the knowledge and understanding related to the subject of focus. 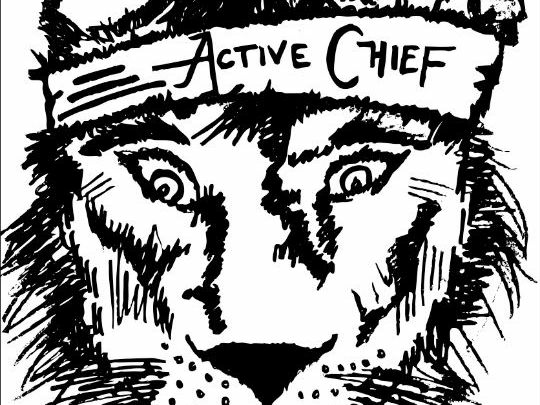 Enjoyed #ActiveChief? Mention us on Twitter @ActiveChief Please also contact us @ActiveChief or activechief@outlook.com for further information on all our materials, including our structured health education programme. This is an Active Practice designed to support pupils’ to prepare for the Year 4 Multiplication Check. Pupils run, skip, hop or jump to complete multiplcation equations ranging from x2 to x5. The purpose of this activity is to challenge pupils to recall multiplication knowledge in a way that is fun and provides a burst of active fitness. Instructions and multiplication equation and answer cards are included within the PDF. This is an activity that can be adapted to suit a whole class, small group or individual. A little about Active Chief… Our Mission To teach every child how to stay safe and keep healthy, while maximising their activity levels. Active Chief is a health education programme that aims to teach every child how to stay safe and keep healthy, while maximising their activity levels. Our pedagogy can also increase the opportunity for active teaching and learning across the curriculum. Enjoyed #ActiveChief? Mention us on Twitter – @ActiveChief Please also contact us @ActiveChief for further information on all we have to offer, including our structured health education programme. This is an Active Practice designed to support pupils’ to prepare for the Year 4 Multiplication Check. Pupils run, skip, hop or jump to complete multiplcation equations ranging from x2 all the way to x12. The purpose of this activity is to challenge pupils to recall multiplication knowledge in a way that is fun and provides a burst of active fitness. Instructions and multiplication equation and answer cards are included within the PDF. This is an activity that can be adapted to suit a whole class, small group or individual. A little about Active Chief… Our Mission To teach every child how to stay safe and keep healthy, while maximising their activity levels. Active Chief is a health education programme that aims to teach every child how to stay safe and keep healthy, while maximising their activity levels. Our pedagogy can also increase the opportunity for active teaching and learning across the curriculum. 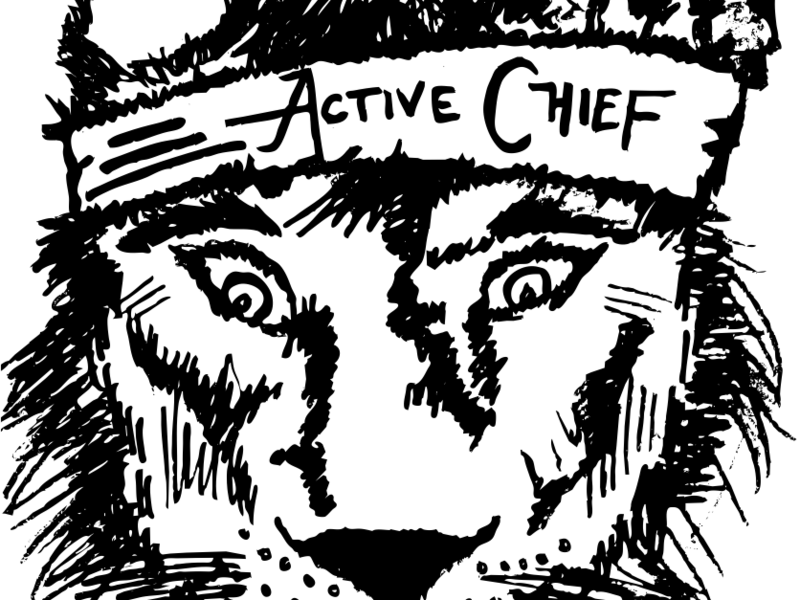 Enjoyed #ActiveChief? Mention us on Twitter – @ActiveChief Please also contact us @ActiveChief for further information on all we have to offer, including our structured health education programme. This is an Active Practice designed to support pupils’ to prepare for the Year 4 Multiplication Check. Pupils run, skip, hop or jump to complete multiplcation equations ranging from x6 to x9. The purpose of this activity is to challenge pupils to recall multiplication knowledge in a way that is fun and provides a burst of active fitness. Instructions and multiplication equation and answer cards are included within the PDF. This is an activity that can be adapted to suit a whole class, small group or individual. A little about Active Chief… Our Mission To teach every child how to stay safe and keep healthy, while maximising their activity levels. Active Chief is a health education programme that aims to teach every child how to stay safe and keep healthy, while maximising their activity levels. Our pedagogy can also increase the opportunity for active teaching and learning across the curriculum. Enjoyed #ActiveChief? Mention us on Twitter – @ActiveChief Please also contact us @ActiveChief for further information on all we have to offer, including our structured health education programme. This is an active game intended to check pupils’ knowledge and understanding about different types of bullying and associated behaviours while getting their hearts pumping. During the game, players listen to the question reader, find an appropriate answer and sprint to deliver it. You will be provided with instructions for the game, game play cards and importantly - the answers! This game can be used with a whole class, small group or individual. This is an Active Practice, which sits within a broader lesson and unit related to mental wellbeing and bullying. Active Chief is a structured health education programme that aims to teach every child to stay safe and keep healthy, while maximising their activity level. Our programme will satisfy the requirement for compulsory health education in state schools from September 2020. If you have enjoyed our materials or would like to further information please contact us on Twitter @ActiveChief. This PDF has eight minimal equipment activity cards to be used to create a circuit of fitness activities. They can be used independently or as part of game play to review key knowledge and understanding (refer to our KS2 Year 6 Grammar Complex Circuits to understand how!) but most importantly they are intended to get pupils’ hearts pumping! Active Chief is a structured health education programme that aims to teach every child to stay safe and keep healthy, while maximising their activity level. Our programme will satisfy the requirement for compulsory health education in state schools from September 2020. If you have enjoyed our materials or would like further information please contact us on Twitter @ActiveChief. Smoking is the greatest cause of death and illness in the UK. Educating individuals about the dangers can help to reduce and prevent smoking related death and illness. This is an active and fun game that supports pupils to understand the dangers of smoking and passive smoking. Pupils run to match questions and answers relating to key facts on smoking. This is an activity that can be used with a whole class, small group or individuals. The answers are included at the back of the pack for easy teacher reference. This is an Active Practice that sits within a broader lesson and unit related to drugs, alcohol and tobacco. Active Chief is a structured health education programme that aims to teach every child to stay safe and keep healthy, while maximising their activity level. Our programme will satisfy the requirement for compulsory health education in state schools from September 2020. If you have enjoyed our materials or would like further information please contact us on Twitter @ActiveChief and leave a review. This is an active game intended to check pupils’ knowledge and understanding related to the age restrictions of various social media services, while getting their hearts pumping. During the game, players listen to a statement then they decide if it is true or false - completing an active movement to demonstrate their decision. Answers are reviewed immediately so that misconceptions are addressed instantly. Within the PDF you will be provided with statement cards and challenge statement cards, detailed instructions and most importantly - the answers! This is a resource that can be used with a whole class, small group or individuals. It will act as a reminder of what the age restrictions for various social media services are and why they exist. This is an Active Practice that sits within a broader lesson and unit related to internet safety and harms. Active Chief is a structured health education programme that aims to teach every child to stay safe and keep healthy, while maximising their activity level. Our programme will satisfy the requirement for compulsory health education in state schools from September 2020. If you have enjoyed our materials or would like further information please contact us on Twitter @ActiveChief. Looking for an innovative way to motivate your year 6 pupils to revise the key components of grammar required for the SATs paper? We may have just what you are looking for! This is a comprehensive bundle designed to get pupils in year 6 to revise their knowledge and understanding of grammar whilst getting their hearts pumping. Pupils rotate through three rounds of circuits, with eight moves. They are challenged to complete a grammar question as soon as the two minute timer starts ticking. Once they have completed the question, they spend the remainder of the time moving! Movements range from walking lunges, high knees to burpees! Variations are included so pupils can independently tailor the movements to suit their fitness range. This is a resource that can be used flexibly, either with a whole class, small group or 1:1. Pupil sheets, station movement cards, comprehensive instructions and the all important answers are all included! Enjoyed #ActiveChief? Mention us on Twitter – @ActiveChief Please also contact us @ActiveChief or activechief@outlook.com for further information on all our products, including our structured health education programme. Looking for a fun and active way to engage your year 6 pupils in mathematical reasoning ahead of the SATs examinations? Look no further, try our Active Practice Shuttle Sort to get legs pumping and minds whirling! This resource can be used with a whole class, small group of with an individual. A little about Active Chief… Our Mission To teach every child how to stay safe and keep healthy, while maximising their activity levels. About Active Chief Active Chief is a health education programme that aims to teach every child how to stay safe and keep healthy, while maximising their activity levels. Our pedagogy can also increase the opportunity for active teaching and learning across the curriculum. Our Active Practice is just one component that can be used in a cross-curricular way to maximise children’s activity levels. Active Practice Purpose: Engage pupils in active play to maximise activity levels and rehearse the knowledge and understanding related to the subject of focus. Enjoyed #ActiveChief? Mention us on Twitter – @ActiveChief Please also contact us @ActiveChief or activechief@outlook.com for further information on all our materials, including our structured health education programme. Save 25% on our Active SATs Practice resources! This bundle includes our Active Practice resources for Arithmetic, Reasoning and Grammar. Included in the pack: 2 x Arithmetic active Treasure Hunt 1 x Reasoning active Shuttle Sort 1 x Grammar active Complex Circuits All answers included! Promote a fun and healthy approach to revision with these active games, which get brains working and hearts pumping! Active Chief is a structured health education programme that aims to teach every child to stay safe and keep healthy, while maximising their activity level. Our active pedagogy can be used across the curriculum to provide ample opportunities for children to be active throughout the school day. If you have enjoyed our materials or would like further information please leave a review and contact us on Twitter @ActiveChief. Whether it’s your 1st or 21st class, meet the teacher sessions and new class introductions are a valuable tool for ensuring a child transitions smoothly into their new class with their new teacher. If you are looking for a fun way to engage your new class, find out more about them and set the precedence for a healthy and active year ahead - our active ‘getting to know you’ circuit may be just the ticket! When you click download, you will receive detailed instructions for the game play, eight detailed movement cards (with tips for adding or reducing challenge to suit the fitness of all) and a ‘getting to know you’ pupil question sheet. To summarise, pupils will rotate round the eight stations in small groups. At each station they will first answer a question about themselves before completing the station movement for the remainder of the designated time. This fun circuit activity is bound to get children feeling at ease so they feel confident sharing a little about themselves while ensuring they enjoy a burst of fitness! The questions children answer about themselves are divided into three rounds: People - family, friends and I Preferences - likes and dislikes Personality - characteristic and talents We hope you enjoy getting to know your new class with this fun and active approach! A little about Active Chief… Our Mission To teach every child how to stay safe and keep healthy, while maximising their activity levels. Active Chief is a health education programme that aims to teach every child how to stay safe and keep healthy, while maximising their activity levels. Our pedagogy can also increase the opportunity for active teaching and learning across the curriculum. Enjoyed #ActiveChief? Mention us on Twitter – @ActiveChief Please also contact us @ActiveChief for further information on all we have to offer, including our structured health education programme. Coronary heart disease is a significant cause of death both in the UK and Worldwide, therefore it is vital that we educate future generations on the risk factors that may lead to coronary heart disease so they are equipped with the knowledge and understanding to help prevent this disease. This is an Active Practice from Active Chief, in which questions related to coronary heart disease are read and children attempt to verbally answer the question fully. Pupils have an opportunity to actively agree, disagree or build on to the answer before being asked to complete either a reward movement for a correct answer or a forfeit movement for an incorrect or only partially correct answer. It’s a fun active game that challenges children to recall key facts about coronary heart disease, while providing an opportunity for them to be active. Instructions, questions, challenge questions and the answers are all included within the PDF. Please note this is an Active Practice that sits within a broader lesson and unit related to physical health and fitness. Active Chief is a structured health education programme that aims to teach every child to stay safe and keep healthy, while maximising their activity level. Our programme will satisfy the requirement for compulsory health education in state schools from September 2020. If you have enjoyed our materials or would like further information please contact us on Twitter @ActiveChief and leave a review.